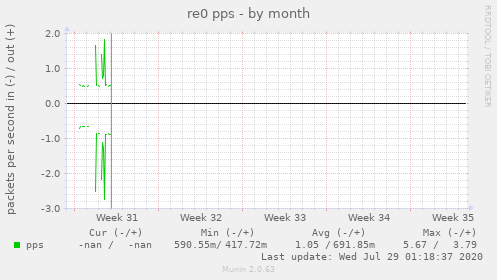 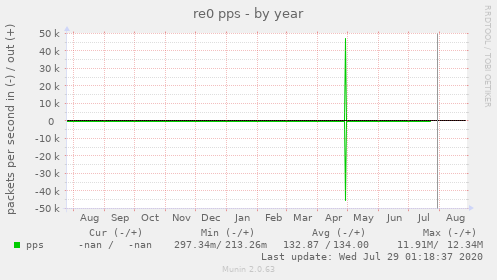 This graph shows the packets counter of the re0 network interface. 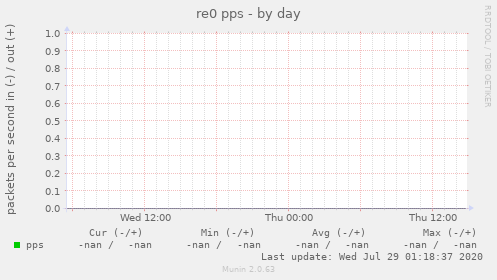 Please note that the traffic is shown in packets per second. 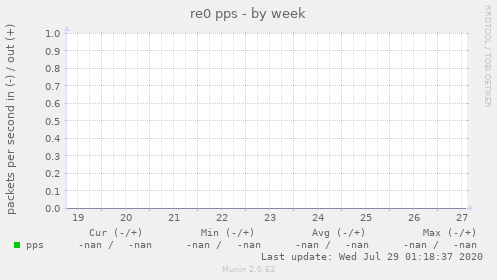 pps opackets counter Packets sent (+) and received (-) on the re0 network interface.